It was one chilly 1975 night when fired-up youths, among them young Dickson Chingaira, left the comfort of their homes to join the liberation struggle. It was generally concluded that they had crossed to Mozambique to fight for their country; some had to fight from without for battles and war to be won. This was the gang which included Cde Chinx who readily became popular for mobilizing fellow comrades with his revolutionary music. It took Cde Chinx the gun as well as music to fight colonialists who had put Zimbabwe to colonial subjugation for close to a hundred years. It took Cde Chinx the gun and music to demand what rightfully was his – the land that had been usurped from him and fellow countrymen and women by the whites in the 1890s. A music wing known as Zanu-PF’s People’s Choir/ Takawira Choir named after the late war linchpin Cde Leopold Takawira was formed in Mozambique with a role to entertain as well as inform those at home and with the assistance of Radio Maputo, the choir’s songs would be aired through the station and it is the choir that Cde Chinx was a very active member of. In a 2004 interview with this writer Cde Chinx said there were demoralising circumstances for instance where there would be an outbreak of diseases and deaths. “In order to keep the morale high in the camp, we had to compose comforting as well as inspiring music,” said Cde Chinx. 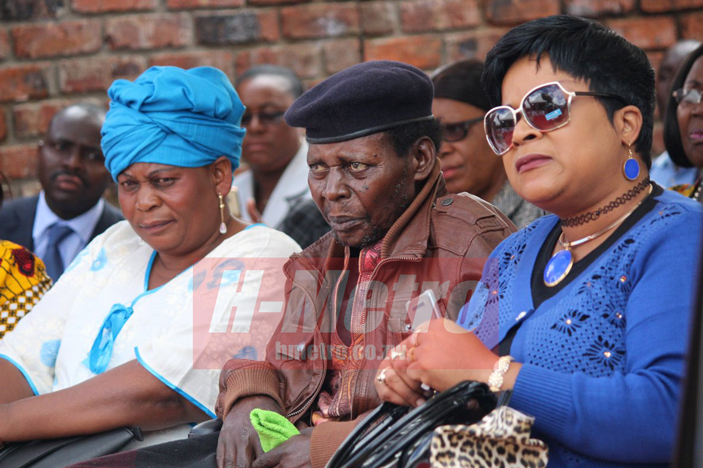 Cde Chinx said Shungu Dzedu and Prince Charlie were popular among the freedom fighters. While some songs were used to boost morale in the camp, some were used in demoralising the opponent. It was song and dance that oiled the struggle. The role of music unified all Zimbabweans in realizing that they had a dream. A dream to self determination. A dream to debunk colonial ties. When they got weary it was music that kept them going. Ironic indeed but this is how they continued in the struggle for self-determination, with music always lingering in their minds such that they kept on going. Iva Gamba and Zvinoda Wakashinga Moyo were some of the songs, with some of Cde Chinx’s compositions saw the struggle going. His music was always towards decolonisation agenda. Untangling of ties with former colonisers while it encouraged the people of Zimbabwe and the whole of Africa to be self-determinist. During the war Cde Chinx’s music also gave vision and entertained freedom fighters. His songs such as Muruza could be used to drive away fear from freedom fighters as they worked towards achieving their common goal – the goal to self-rule. The song Maruza would shake away the inferiority complex in some. In the song he describes the former colonisers as coming from a country in abject poverty – to put it clearly ‘a country with stinking poverty’. In the song he warns all colonisers of the coming of a new era where they would lose in whatever their endeavours as he encourages Zimbabweans to keep focused on reclaiming what is theirs. To Cde Chinx music was a friend, comforter and guardian for freedom fighters. After independence Cde Chinx continued with the decolonisation agenda penning several songs which became hits. He preached love, peace and total untangling from former colonisers. Cde Chinx remixed the song Vanhu Vemu Africa that became a hit in the country in the late 1990s and it was voted the Silver Jubilee Award for the Most Inspiring Song of the Liberation War during the 2005 National Arts Merit Awards while the musician got two awards for his role in the film Flame and sound track Maruza. Cde Chinx was a key member in the Third Chimurenga Series where music towards decolonisation were released working with the Police Band as well as the late Marko Sibanda who was also a war veteran. 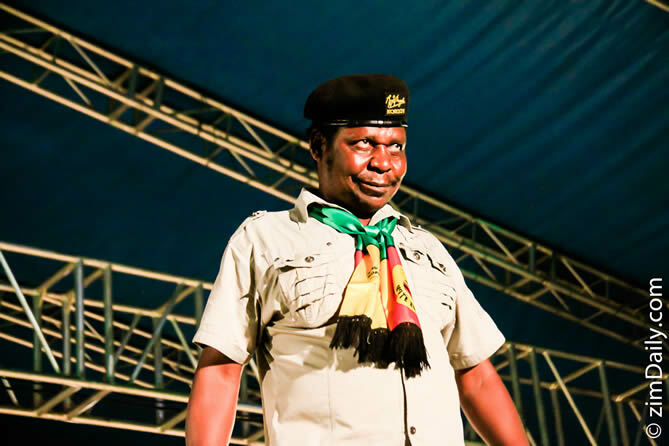 After independence, Cde Chinx worked with the likes of Bennie Miller and Keith Farquharson to release Chimurenga songs such as Zvikomborero, Ngorimba and Nerudo at Ilanga, which also had the late Don Gumbo. He later moved to work with Mazana Movement and later Mazana Black Spirits as well as the Barrel of Peace. Cde Chinx remained a key figure in the national galas where he would reminisce of the Chimurenga days through song and dance. The LMG Choirs of Gwanda would complement him as they would also play their Chimurenga songs on their slot. 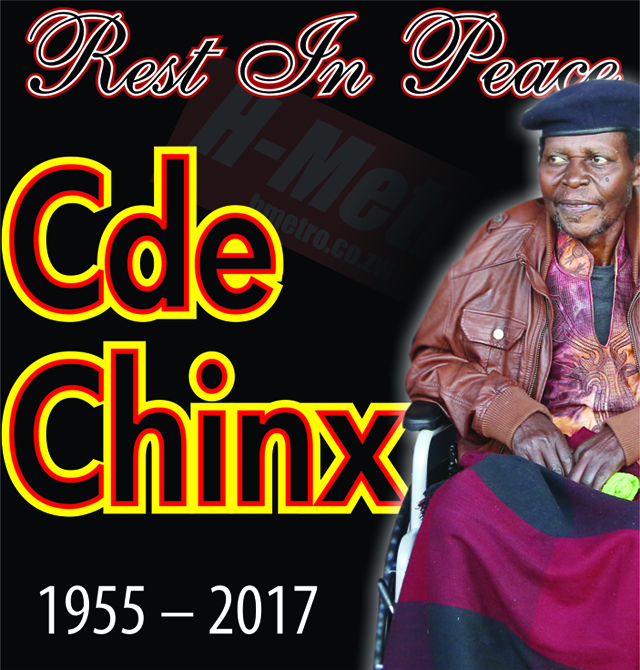 Music fan Colleen Majoka said Cde Chinx would not be missed by Zimbabwe alone but all those who have followed his music with a vision for decolonisation. Years after his departure, Cde Chinx would be remembered for his revolutionary songs; his decolonisation agenda and the music that oiled the liberation struggle.